Johann Heinrich Gottfried Pabst; Leonard Mumma (Moomaw) Family; James Muse Richardson Family; Virginia Statutes Pertaining to Cemeteries; Midkiff Family; McKalister Cemetery Survey; Mt. Pleasant or White Church Cemetery Survey; Cecil Cemetery Survey; 1853 Botetourt County Death Register; Cunningham Family. 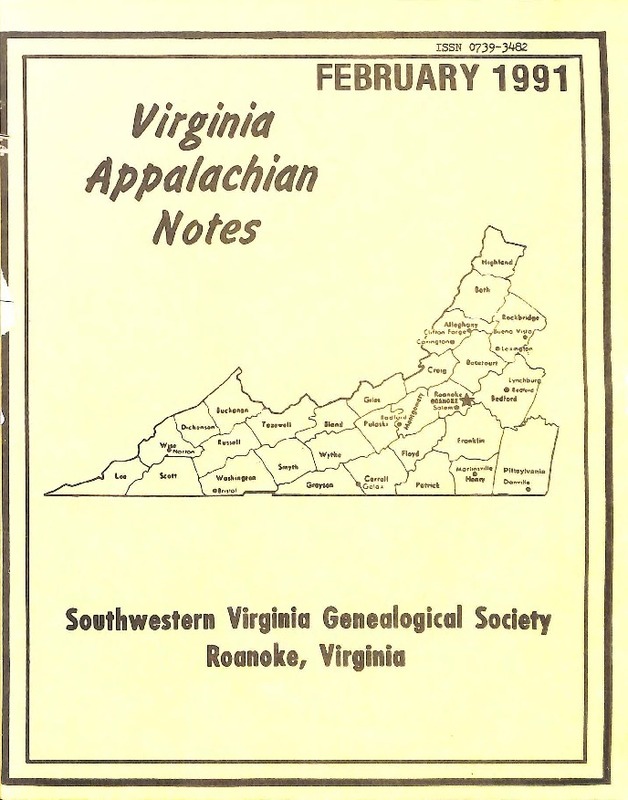 Southwestern Virginia Genealogical Society, “Virginia Appalachian Notes, Volume 15, Number 1,” Virginia Room Digital Collection, accessed April 19, 2019, http://www.virginiaroom.org/digital/document/VANv15n1.